Most of us want to have fun around Kyoto Station, and as expected, it can get pretty crowded during the autumn leaves season. But it’s still all worth it because the temples around the station are not only historically important but also incredibly beautiful. So here’s an itinerary for those of you looking to enjoy the Kyoto Station area for a day! 8 pm: Good morning, let's have breakfast! 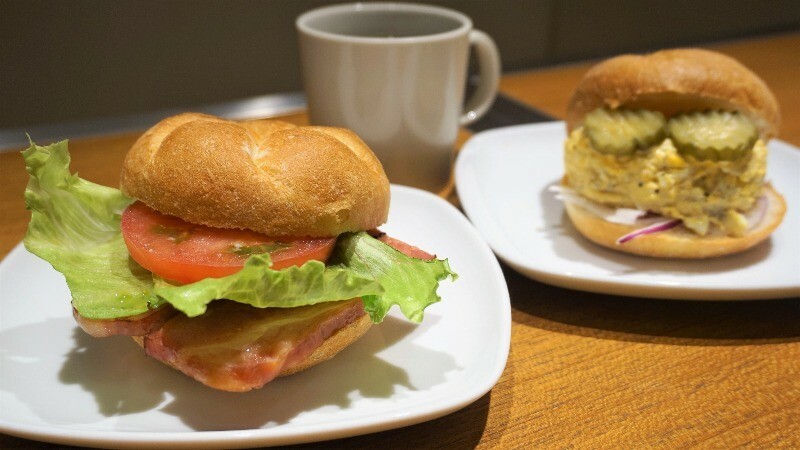 There are many cafes near Kyoto Station. Among them is the “Ogawa Coffee” shop inside the train station. Its freshly brewed coffee is individually made and each cup is carefully crafted to add beauty to your morning. In addition, there are tasty and filling burgers, sandwiches and other items on the menu. Let's have your breakfast first before starting your journey again! Next, Tofuku-ji Temple. You can take JR to Tofukuji Station, or you can walk to the temple. It takes around 30 minutes to walk to Tofuku-ji Temple, so those not in the mood for exercise should take the train. 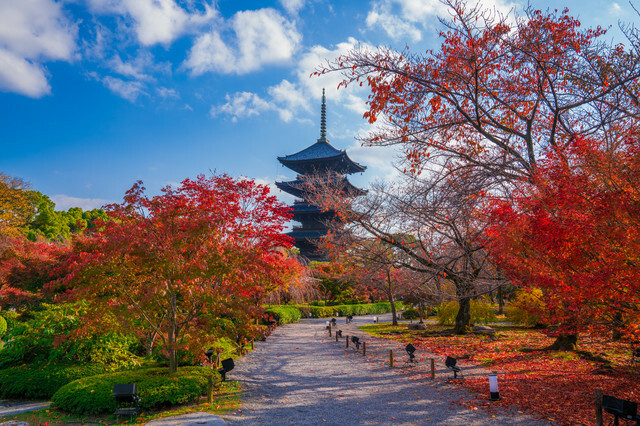 Tofu-ji Temple is one of the most famous sights for autumn leaves in Kyoto, so naturally, it can get really crowded, which is why we would like to recommend you go there as early as possible. The temple normally opens at 9 a.m. but during the autumn leaves season in November and December it opens at 8:30 a.m. so if you can, you should try to make it to the temple a bit before 9 a.m. The temple is most famous for the view you get from the Tsutenkyo Bridge, but this bridge can get quite crowded. Indeed, so crowded that photography on the bridge is not allowed anymore during peak times. Next, we have one of the classic temples of Kyoto, To-ji, which is most famous for its Five-Storied Pagoda. This temple is a bit far from Tofuku-ji, but still a walkable distance away, with the walk taking around 40 minutes. Those in a hurry should consider taking a taxi, which should take around 15 minutes and cost around 1,100 yen, which is not bad especially if you are traveling with three to four people. Most people come to To-ji Temple to take pictures of the Five-Storied Pagoda, but you can also go inside it. The ticket to both the temple’s main hall and the Five-Storied Pagoda costs 800 yen, and is well worth the price. Also, don’t forget about the flea market that takes place at the temple on the 21st of every month. 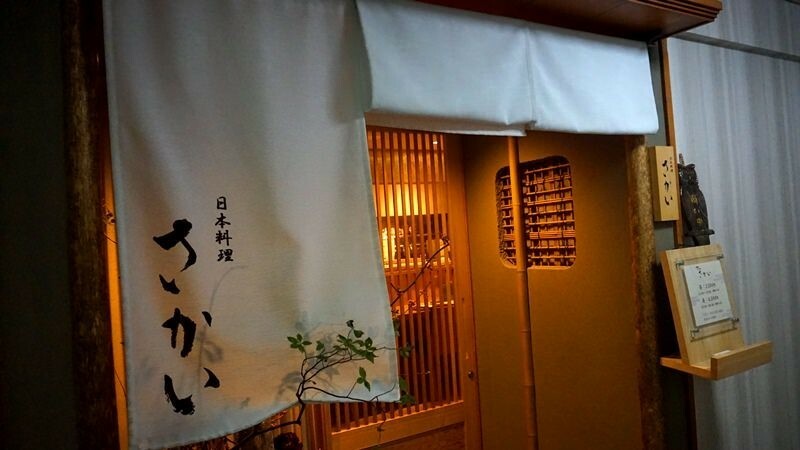 Kyoto is famous for two things, restaurant-wise: kaiseki cuisine and ramen. 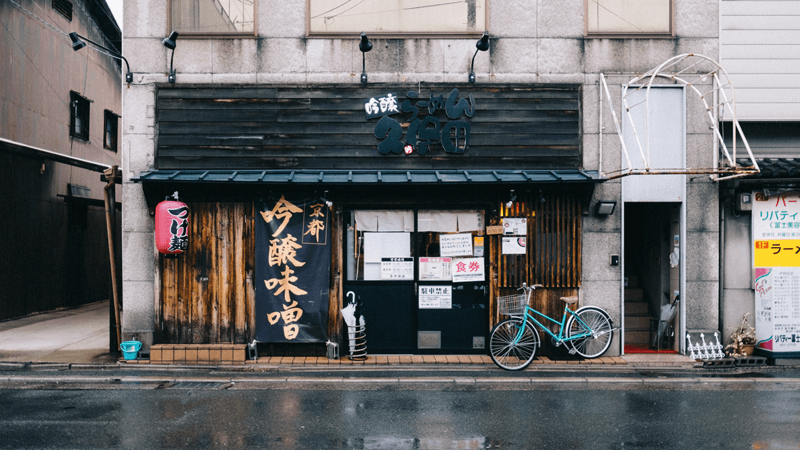 Kyoto has one of the best ramen scenes in Japan, and there are so many little ramen places here that it’s hard to keep track of them. 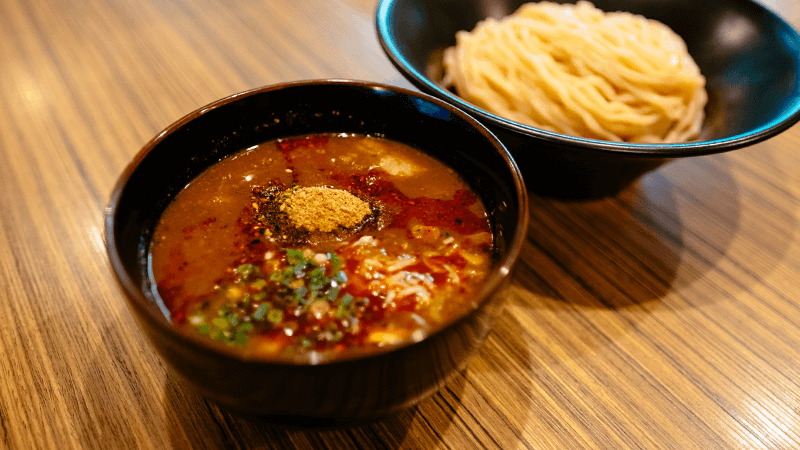 Kubota is one of the best ramen joints in Kyoto, and they are especially famous for their tsukemen – dipping ramen. The restaurant is a bit of a walk away from To-ji Temple, it takes around 30 minutes to walk here from the temple, so those in a hurry should consider using a taxi. But as our resident ramen writer often says, taking a taxi for ramen is something every ramen fan has to do once in a while. Note that Kubota is really popular and it doesn’t have that many seats, so you may have to wait a while to get in, especially on the weekends. 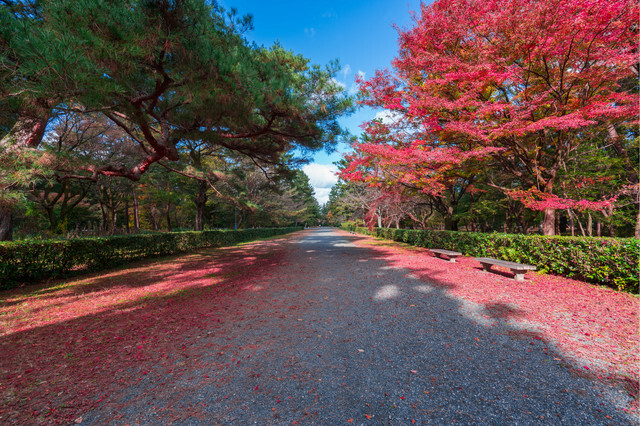 One of the nicest places for walks in Kyoto is the Imperial Palace Garden. And in autumn it’s even more beautiful because of the beautiful yellow and red leaves, which of course means that there are many people, but the area is so vast that it won’t feel crowded. 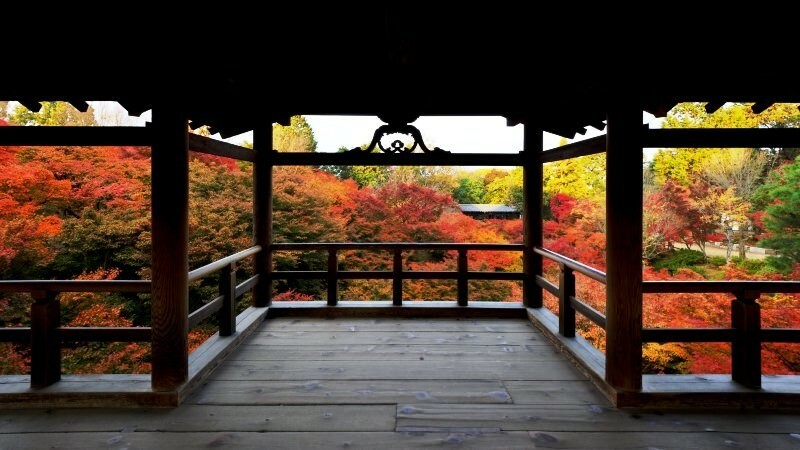 The Kyoto Imperial Palace is a bit far from Kubota, so you should consider taking the subway from Gojo Station to Marutamachi or Imadegawa Station. This way you’ll be at the park in no time. And after a hard day of walking and autumn leaves sightseeing, what better way to treat yourself than with a kaiseki dinner? Kaiseki is Japanese haute cuisine, and normally it’s rather expensive, but the prices at Sakai are really reasonable at around 6,500 to 8,000 yen for their dinner courses. 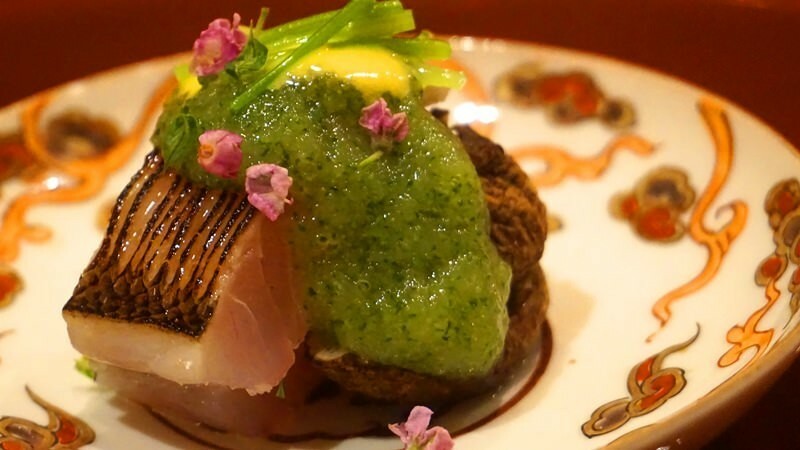 So you have already had one Kyoto specialty at Kubota, ramen, so now you only have kaiseki left. And Sakai is one of the best places in Kyoto to start on your journey to the world of Japanese fine dining. 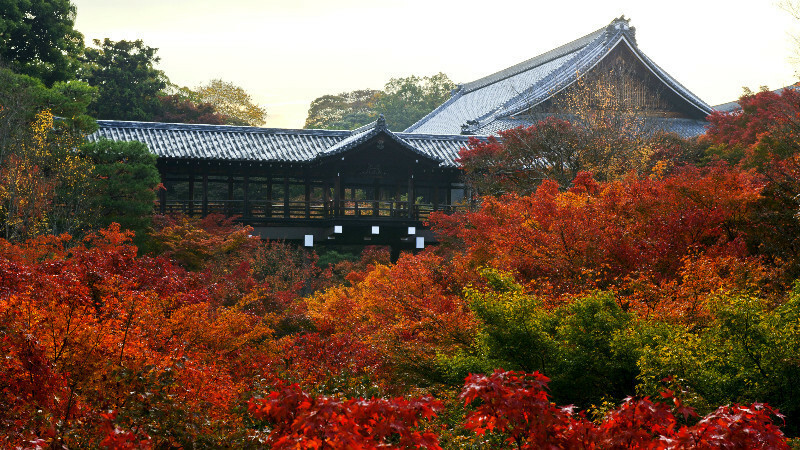 In the next part you get to go to Kiyomizu Temple and also see autumn leaves at night at Chion-in Temple!